Every once in a while I tend to come back to my Indian roots and desi dressing. In fact I would say it’s quite often! As much as I enjoy the comfort of a jeans and a tshirt or the feminine and flirty look of a lace dress, I would always always say that there is nothing as elegant and graceful as Indian wear. More than half the Indian population still dresses in a traditional attire so I never understand why as fashion bloggers we rarely feature Indian clothes on our blogs. As an Indian fashion blogger, I make it a point to include Indian wear as part of every day dressing and not just as festive wear or special occasion wear as most project it to be. Having grown up in a comparatively conservative city like Hyderabad, all of my college years were spent in churidars. My working years too were mostly in Indian formals, as that was the most obvious choice for the sweltering heat in the city!When online shopping became a buzz a few years back, the options for western wear and International brands kept multiplying and soon you didn’t have to look beyond your laptop to have the latest trends and styles delivered to your doorstep. Up until then I was still going to my favorite local shops, buying vibrant prints of materials, mixing and matching prints, designing my own kurtas and blouses and trusting my local tailor to deliver the best stitched suits for everyday wear and festive wear. 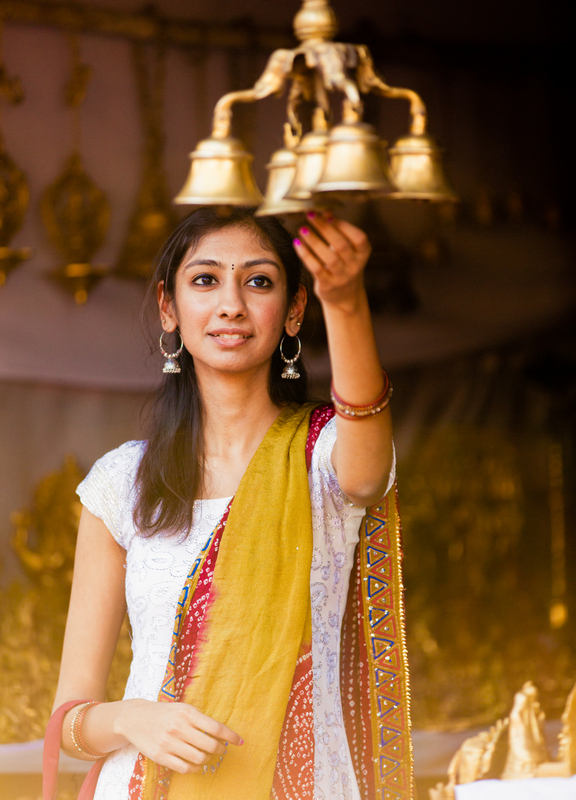 But with the new surge of online shopping sites for Indian wear that stock up on every kind of design, shopping for Indian wear has taken a whole new direction. Whether you are living abroad or living in India, getting your hands on sarees, lehengas and kurtas has never been easier. 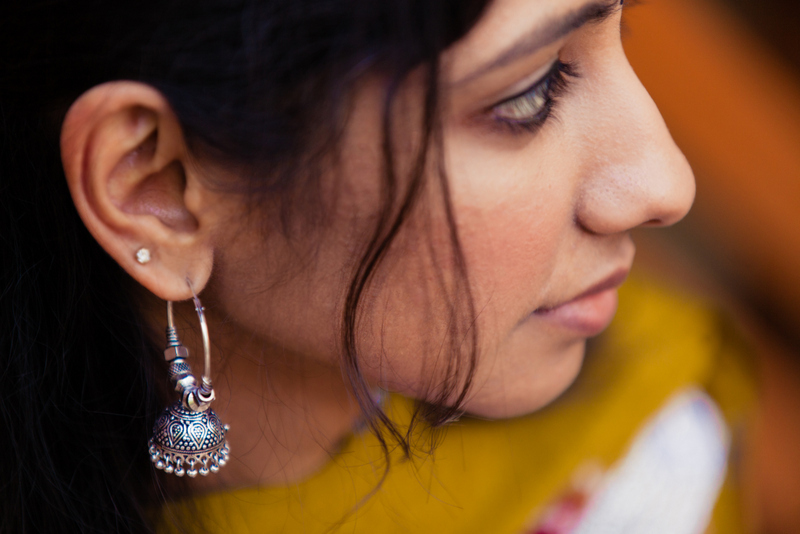 One such website that offers a great selection of designs along with customization options is CBazaar.For this particular look, I wanted to play with different Indian accents that could be worn on an everyday basis. White is always an artist’s favorite color as it provides the perfect canvas to throw on splashes of color. Bandhani (tie-dye) dupattas need no introduction at all. The crinkled fabrics with vivid dramatic colors come in so many playful patterns. There is a whole lot of meticulous process involved in creating them and each pattern has a given name and is usually worn for a specific occasion. I had picked this pair of mojaris while street shopping in Pune, and although this is the first instance that I am wearing them I already have tons of ideas for remixing them with both Indian and Western wear. Finished my look with a pair of sliver jhumkas, a few bangles and a printed cloth bag for an evening spent walking around stalls, satiating my visual appetite and getting inspired with all the crafts, colors and designs around me. So the next time you reach out to wear your pencil skirt or your skinny jeans, give it a miss at least once in a while and instead go the desi route. Don’t restrict yourself to wearing it only for festivals or weddings. 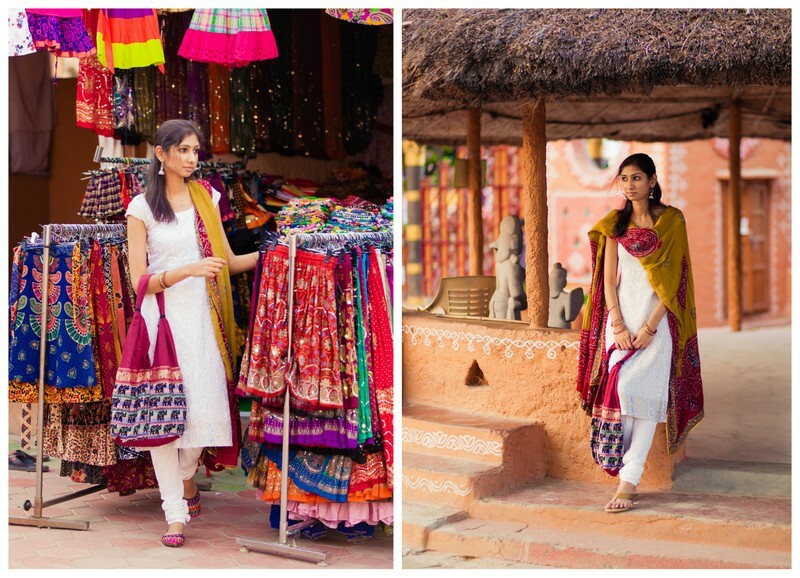 We have a riot of colorful options that can look just as classy and trendy as a western outfit, so go exploit them to the fullest and be proud of wearing Indian attire! 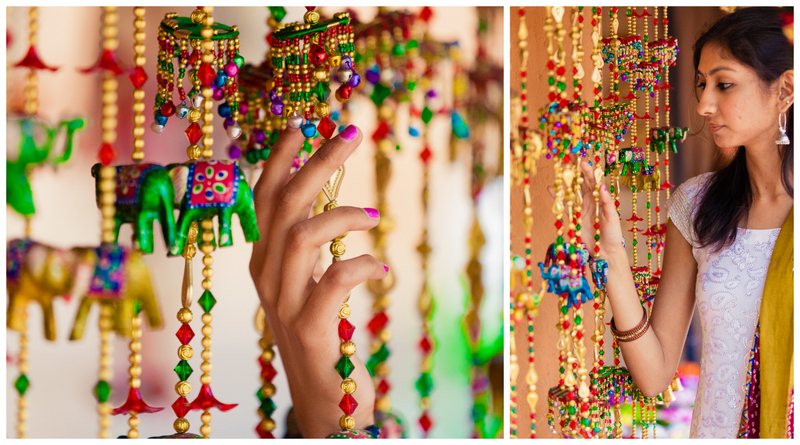 And in case you need a serious wardrobe update, don’t forget to check out Cbazaar for their various options! Such a comfortable and colourful outfit! And those mojris are definitely a keeper. 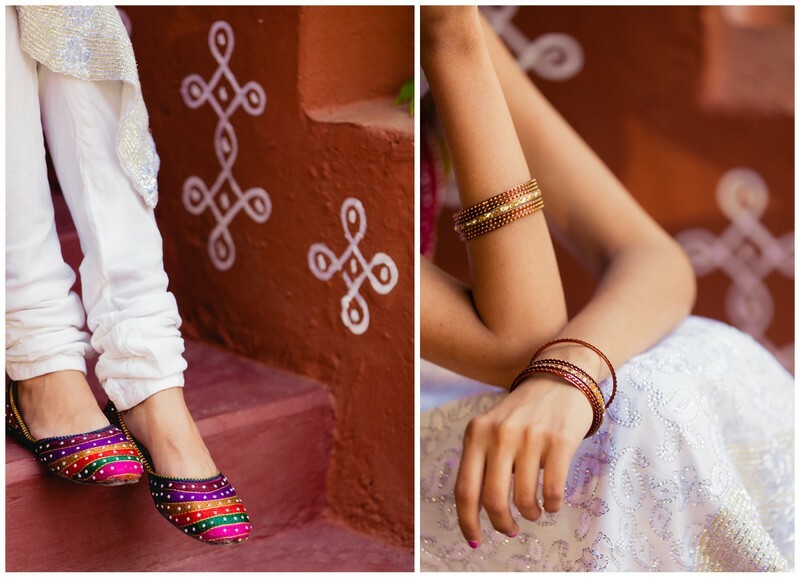 Love love love the dupatta and the shoes. Very cute look. Is that Shilparamam? I thought their annual fest runs in Dec. Unusual time in Feb for their fest. Yes it's Shilparamam! There was no festival.. but they always have a few permanent stalls open throughout the year. 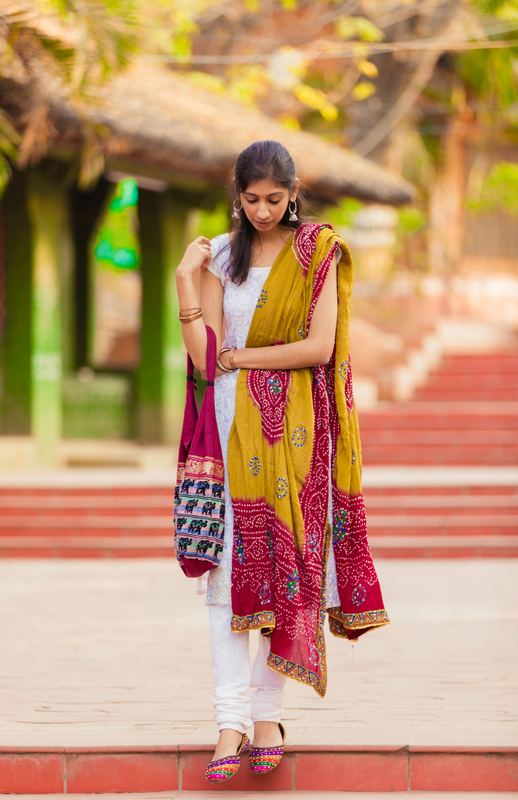 I absolutely love this post and completely agree with your sentiments that most Indian fashion bloggers give our beautiful ethnic ensembles a miss! I love how your outfit beautifully blends with the place! You look amazing in traditional wear!! I so wanna wear traditional too but whenever I wear something like that I just attract attention here in Japan!! Indian beauty in Indian ethnic dress. Looking outstanding in that suite. So beautiful.